Tension emerged between the fishermen of Pallisa and Ngora over illegal fishing gears that were being used on the lake. During the inter-district security meeting, both districts agreed that fishing activities should be temporarily suspended to pave way for the two communities reach to a common understanding on the fishing gears. The Pallisa LC5 chairman, Mr John Micheal Okurut told Daily Monitor that ever since tension broke out between the communities on either side late last year, resulting into the death of two people, the district has been the epicenter of fights. “We have held a series of meetings in which the inter-district security committee resolved that all boats and fishermen should be registered and also fishing activities be suspended until further notice.This was done to curtail further clashes between the two fishing communities,” Mr Okurut said. He explained that no body will be allowed to fish on the lake until all the issues raised have been properly discussed and action taken. Both sides were counter-accusing each other of illegally using fishing gears that were not recommended. This however, sparked off a disagreement amongst the fishermen operating on Lake Nyaguo. The Beach management committee [BMC] headed by Mr Faustino Mwanika, and his accomplice attacked Mr Calvin Opedum, Mr Omunyokol and Mr Silas Omudu from Ngora district, for using illegal fishing gears. During the operation by the Beach Management Committee, a fist fight erupted and in the process two people; Calvin Opedun and Omunyokol, reportedly drowned into the lake while Mr Silas Omudu survived. Upon the death of these two people, angry relatives armed with machetes and clubs stormed the village on the side of Pallisa, looted goats, sheep and valuable house-hold properties forcing police to respond. The Agule LC3 chairperson, Ms Jane Francis Atuko, said that ever since the nasty incidence has left many families traumatized and fleeing their homes for fear of revenge. 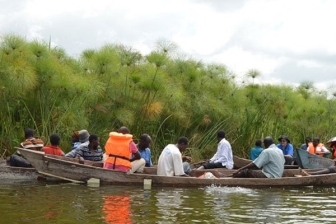 Lake Nyaguo is a finger of Lake Kyoga that is shared by three districts of Pallisa, Kumi and Ngora and remains the biggest livelihood for the communities around the lake. The Deputy Resident District commissioner, Mr Emokol Onyango, said the move to suspend all fishing activities on the lake was because of the prevailing circumstances that was still breeding insecurity on the lake. “We need to harmonize the situation on both sides because if the status quo remains the same, it will not end the fight,” Mr Onyango said. He said that despite the situation being under control, the police remain on standby to maintain surveillance in case of more attacks. “We need not to give room and people kill each other because of fishing gears.We need to work as brothers and sisters for betterment of our families since majority depend on this lake for livelihood” he said. Fishing activities on Lake Nyaguo is no-more until the inter-district security committee finds it more peaceful to allow the two communities resume fishing but this will be done if the fishing communities comply to the laid down guidelines and this will involve fishermen and boats getting registered for easy tracking. Mr Onyango further said that communities involved in unlawful fishing have to either ditch the banned activities or procure the recommended fishing gears if they will be allowed back to continue with their activities. On May 28 2017, Police rescued two fishermen from being lynched after they were suspected to have been part of the gang that has been terrorizing their fellow fishermen on the lake. Mr ChristopherAkamu and Mr Isaac Ariyo, both from Ngora, survived death after they were found using illegal fishing gears and even destroying fishnets of other fishmongers. 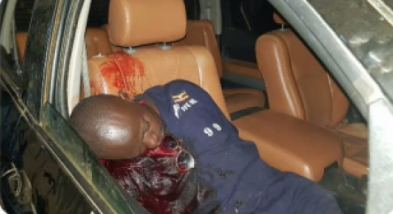 Mr Yasin Kawuma, Bob Wine's driver shot dead by one of the thousands of guns in the District of Arua adjacent to the two massive African countries that have been in never- ending civil wars for a very long time. 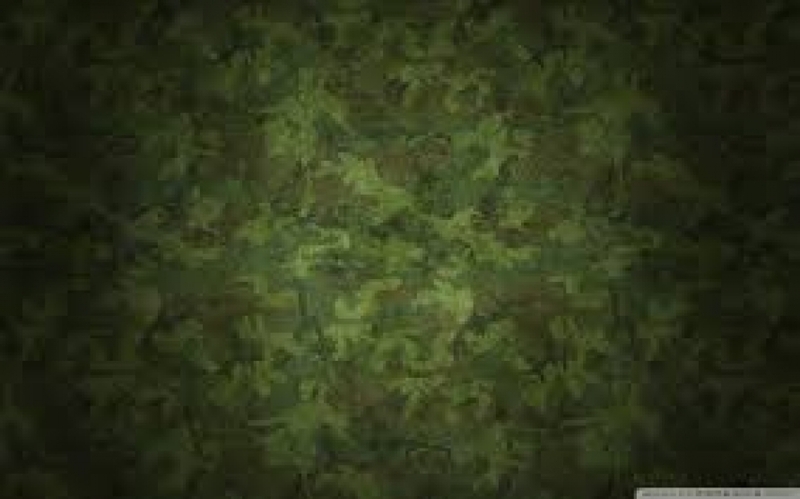 These countries are the North and South Sudan and the Democratic Republic of the Congo. The other detained MPs, including Gerald Karuhanga (Ntungamo Municipality), Paul Mwiru (Jinja East), Michael Mabikke (former Makindye West MP) and Kassiano Wadri (Arua Municipality MP-elect) are expected to be charged today with yet-to-be known offences. Detectives from Arua led by West Nile Regional CID chief Herbert Mutonyo drove to Gulu yesterday and recorded the suspects’ statements, Gulu CID officer Ronald Were said. “The alleged offences committed by the suspects happened in Arua town, they are only being detained at our station. 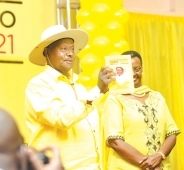 The officers from Arua are taking the lead in the investigations,” Mr Were said. There were conflicting accounts on where the group would be tried, with officials in Kampala saying the suspects would be produced in Gulu magistrate’s court today. But a senior police officer in Gulu said they were to be taken back and charged in a court in Arua where they allegedly committed the alleged crimes. The fate of Mityana Municipality MP Francis Zaake was unclear by press time, but photos circulated on social media showed him with a swollen hand and deep cuts to his fingers. Lawyers who accessed some of the suspects said Bobi Wine, was not in the police cells. “Allegations of torture are not true. This is the government statement; there is no torture at Central Police Station cell,” he added. Gen Ali also said Mr Kyagulanyi had earlier been checked into a military hospital in Gulu. He added that all the persons arrested are in custody at the Gulu Central Police Station and are accessible to their relatives and lawyers. Responding to the government’s statement, Mr Gilbert Olanya, the Kilak South MP, FDC, said the government should tell Ugandans what type of gun was found on Mr Kyagulanyi. The Kigulu South MP, Andrew Kizza Kulaya (Independent), questioned why, if the MPs now in custody were not tortured, why government took Mr Kyagulanyi to a military hospital. “The [First] Prime Deputy Prime Minister has informed the House that Mr Kyagulanyi was taken to a military hospital in Gulu…I wonder what takes one to a military hospital, [one] who on Monday was very healthy. In the campaign, he – Kyagulanyi – was moving on his own. And the minister comes here to tell us they have not tortured any of our colleagues. What a lie, Prime Minister!” Mr Kulaya said. MPs Lucy Akello (Amuru), Florence Namayanja (Bukoto East), Monicah Amoding (Kumi), Kabale Municipality MP, Andrew Aja Baryayanga – Independent, Betty Aol Ocan, the LoP, also spoke out against the way their colleagues were being treating. Meanwhile, six MPs were assigned to follow up the cases. OMUWENDO gw’abattibwa gulinnye ekyongedde okweraliikiriza abantu. Lipoota poliisi gye yafulumizza ekwata ku misango egyaliwo mu 2017 yalaze ng’obuzzi bw’emisango bweyongeddeko bw’ogerageranya ne 2016. Sabiiti ne Ochola (ku ddyo)nga bafulumya lipoota ku buzzi bw’emisango eggulo. Mu 2017 poliisi yafuna emisango 252,065 so nga mu 2016 gyali 243,988 ekiraga nti gyalinnya ebitundu 3.3%. Mu lipoota eno, abantu 4473 be baafa mu 2017 bwogeraageranya ne 4316 abaafa mu 2016. Omwaka ogwo gwasaanikirwa nnyo obutemu omuli abaakubwa amasasi, abeebijambiya naddala e Masaka n’ekittabakazi e Nansana n’e Ntebe. Mu kwanjula lipoota ekwata ku buzzi bw’emisango, akulira ekitongole ekinoonyereza ku buzzi bw’emisango, Grace Akullo yagambye nti abantu 164 be battibwa nga bakubiddwa amasasi oluvannyuma lw’okulumbibwa abazigu omwali n’omugenzi Andrew Felix Kaweesi, omukuumi we, Kenneth Erau ne ddereeva we Godfrey Wambewa abattibwa nga March 17, 2017 e Kulambiro. Mu battibwa nga bakubiddwa amasasi kwaliko abasajja 144, abakazi 14 n’abaana 6. Yagambye nti abantu 603 bw battibwa mu kutwalira amateeka mu ngalo ate abantu 372 ne battibwa oluvannyuma lw’okufuna obutakkaanya mu maka ng’okutta mu mbeera eno kwali nnyo e Kamwenge, Kyenjojo, Mbarara, Rakai , Kakagi ne Ntungamo. Yategeezezza nti ezimu ku nsonga ezivuddeko ettemu kuliko enkaayana z’ettaka, obutakkaanya mu maka, okuvuganya mu by’obusuubuziwamu n’okulwawo okufuna obwenkanya mu kusala emisango mu kkooti. Akullo yagambye nti poliisi era ekyalina okusoomoozebwa okunoonyereza ku bubbi obutambulira ku mikutu mugattabantu kuba emisango poliisi gy’efunye egy’ekika kino ng’abantu bafiiriddwa ssente ezisoba mu buwumbi 169. 1. Lira erina emisango 7,872, 2. Ntungamo 6,839, 3. Mbarara 5,096, 4. Gulu 4,731, 5. Mpigi 4,539, 6. Arua 4,261, 7. Mbale 3,857, 8. Kibuku 3,836, 9. Gomba 3,809, 10. Tororo 3,651 (ng’eno omuduumuzi wa poliisi, Okoth Ochola gy’ava.) Disitulikiti y’e Mbarara okuva 2011 tevanga ku lukalala olwo. 2014 emisango 122,733 2015 emisango 101,904, 2016 emisango 95,270 2017 emisango 105,017 Kino kivudde ku kubeera ng’ekitongole ekinoonyereza ku buzzi bw’emisango kirina abasirikale batono. Okusobya ku bakazi 1,335, Egyekuusa ku ttaka 469, Okufuna ebintu mu lukujukujju 12,771, Obutalabirira baaana 10,021, Okubba ssente 7,878, Okwonoona ebintu 8,078, Okutisatiisa 13,474. Governmenti ya NRM erina kutunula butunuzi kubanga nayo erina omuze gwe gumu ogwobusungu nokukozesa elyanyi kwabo abalina endowooza eyenjawulo. Ssali (mu kakobe) ng’aliko by’ategeeza omulamuzi. ABASIRAAMU abaakwatibwa ku by’okutta Susan Magara batadde akazito ku poliisi ebalage bakyala baabwe gye bakuumirwa bukya bakwatibwa. Bakulembeddwaamu Muzamiru Ssali eyagambye omulamuzi nti: “Oweekitiibwa nsaba poliisi etubuulire gy’ekuumidde bakyala baffe ne bannyinaffe kubanga awaka tebaliiyo ate ne mu kkomera tebaliiyo. Poliisi bwe yazinda omuzikiti gwa USAFI yakwatiramu abooluganda baffe n’abaana naye tetuddangamu kubawuliza. Ebintu byaffe okuli emmotoka n’ebintu ebikalu byonna poliisi yabiwamba era kati ebikozesa mu bukyamu. Ssebo omulamuzi njagala poliisi etutegeeze kati omuzikiti gwaffe yagwezza kubanga yakuba ekkubo mu lugya lw’omuzikiti, tetumanyi oba n’ekifo kyennyini oba nakyo yakyezza”, Ssali mu bwennyamivu bwe yategeezezza omulamuzi. Ssali yazzeemu okulumiriza poliisi nti yabateeka ku mudumu gw’emmundu n’okubakuba ng’ebakaka okukola sitatimenti nga bakkirizza emisango ate n’obujjanjabi teyabawa!Ssali avunaanibwa ne banne okuli Musa Abas Buwembo, Yusuf Lubega, Miiro Kato, Hussein Wasswa omutembeeyi. Hajara Nakandi omusomesa, Ismail Bukenya ne Imaam w’omuzikiti gwa USAFI Mahad Kasaliita, baakomezeddwaawo eggulo mu kkooti ya Buganda Road okumanya okunoonyereza we kutuuse mu musango gwabwe. Bano baakwatibwa nga April 27, 2018, poliisi n’ebitongole ebikessi bwe byazinda omuzikiti gwa USAFI. Ku mulundi guno abawawaabirWa tebaabadde ne balooya kyokka nga mu lutuula lwa kkooti olwayita balooya abasiraamu abeegattira mu kibiina kya “Uganda Moslem Association” beeyama okubawolereza era ne bategeeza nga bwe bagenda okuggula ku Gavumenti omusango olw’okutulugunya abasibe. Wabula omulamuzi Robert Mukanza yabawadde amagezi bafune looya anaasobola okukola obulungi ku kwemulugunya kwabwe. Omulamuzi era yayongezzaayo ekibaluwa ekikwata Partick Kasaija (Pato) ali mu South Africa wadde ng’oludda oluwaabi terwategeezezza wa we lutuuse ne kaweefube w’okumukomyawo. Kasaija nga waaluganda ku mugenzi Magara, kigambibwa nti ye yaluka olukwe lw’okumuwamba ng’alumika n’ebyali awaka ng’abitegeeza abatemu kigambibwa ne ssente obukadde 700 ezaasasulwa abatemu ye yasinga okugenda n’ekitundu ekinene. Magara yawambibwa nga February 10, 2018, abatemu ne bamutta nga February 27, 2018 omulambo gwe ne bagusuula e Kigo ku lw’e Ntebe. Omusango guddamu nga July 12, 2018. Abasibe abamanyi mumitima gyabwe nga tebaza nga musango twabagambye mulekerawo okulya emmere yomuwi womusolo. Mpoozi abawaka babaleetere nga emmere. Ate muyinza nokuzira emmere nemukola Hunger Strike okwetaasa. Kubanga omusango gwebabalanga guli mu ttuluba lye nsonga zabyabufuzi bwa Uganda. You are political prisoners. clause has continued with their resolve. when Uganda next goes to the polls.